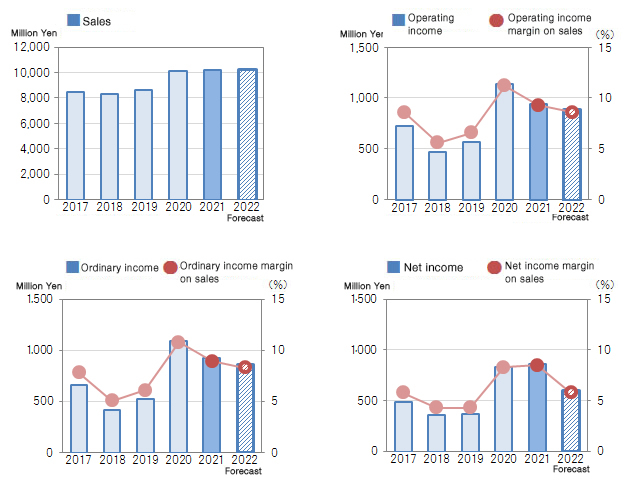 Sales and Profit in Comparison｜Financial Highlights｜Investor Relations｜KOKEN LTD.
* The Company began preparing consolidated financial statements in the fiscal year to December, 2014 to include Siam Koken, Ltd. as part of business operations. This website is not made for solicitation of investment. If you do plan to invest, please do not make an investment decision by solely relying on the information published in this website and use your own judgement before investing.